Choosing A Marijuana Strain, Pt.2: Fruity, Fantastic Marijuana Strains? What’s In A Name. Cascade Hops. 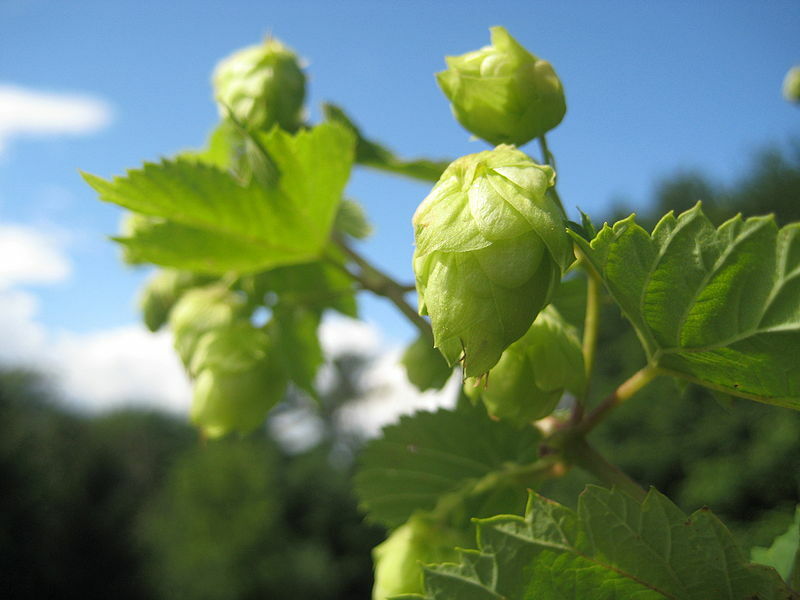 As with cannabis, hop varieties carry signature aromas. In a clever bid to sell more product, many marijuana seed breeders and seed shops give their strains enticing names; “Fruity Juice”, “Bubblicious”, “Blueberry Kush”, “Lemon Haze”, and so on. With many weeks from seed to harvest, growers are tense with anticipation – will the name of the strain deliver as promised? A novice grower – especially one on a budget – is not likely to be able to grow a wide variety of plants and compare results. So the question on beginning grower’s minds: Is there really naturally flavored marijuana? Do strain names mean anything? Does Lemon Haze Cannabis bud taste like lemons? Does Blueberry marijuana taste like blueberries? Do the snozzberries really taste like snozzberries?! I have grown many strains, often at the same time, and I can tell you from experience that there are significant differences in the aroma (which leads to the taste experience) of different marijuana strains. However, I can also tell you that the typical smell of cannabis is by far still the dominant smell. I happen to enjoy the natural aroma of cannabis; it reminds me of wild herbs and autumn foliage drying by the side of country fields. Those with don’t like it think it smells like urine, rope, and skunk. Sounds like an unfortunate accident at the animal control office. Naturally occurring aromatic compounds, known as terpenes, are responsible for the kaleidoscope of aromas in different cannabis strains. Conifers (pine trees) are the most familiar terpene producers in nature, and not surprisingly, one of the most common tastes/aromas marijuana users describe is “pine”. Not every strain of marijuana is known for its aromas. The “white” varieties, such as “White Widow”, “Ice”, and “White Rhino” are rather known for their high THC content, and resulting “frosty” white look of the leaves and buds near harvest time. Other strains are named for their place of origin (“Afghan Kush”, “Durban Poison”, “Mexican Sativa”), or even the cannabis breeder who developed the strain (“Jack Herer”). The best comparison I can make regarding how aromas differ relates to the world of beer brewing. There are a wide variety of hops and yeasts that contribute to the signature aromas of various types of beer. The great southern German Hefeweizen beers use a type of yeast that produces a hint of clove and banana aroma in the finished beer. The tangy aroma of Cascade hops lends India Pale Ale a note of citrus, and a sharp, refreshing bitterness. Hops are a great comparison to cannabis in general. They are highly aromatic (as is cannabis) and do indeed present a variety of distinct, recognizable aromas. Nevertheless, to some people, beer just smells “like beer”. Since most of you are unlikely to have access to a range of hops to sniff around at, a more accessible comparison is to the aromas of wine varieties. Does wine always smell the same to you? Maybe it is time to compare a Washington State Pinot Noir to a Spanish Tempranillo. Or a French Chablis to a German Riesling. It could be that they all just smell like wine to you, but I’d wager that you’ll smell and taste a difference. In fact, once you’re onto it, you’ll be surprised at how different wines have distinctive aromas and flavors. Alsatian Pinot Gris vs. California Chardonnay, South African Pinotage vs, French Syrah… I’d say that the differences in wine varieties is a fair comparison to cannabis strains. If you have only ever experienced marijuana as “some grass in a bag”, and never compared one well-grown special strain to another, then the time has come! When you smell dried, cured marijuana buds, first breathe in and focus on the typical, strong cannabis odor. Exhale slowly through your nose. (We haven’t lit anything.) As you exhale, do you notice any secondary, underlying aromas beyond the typical marijuana smell? 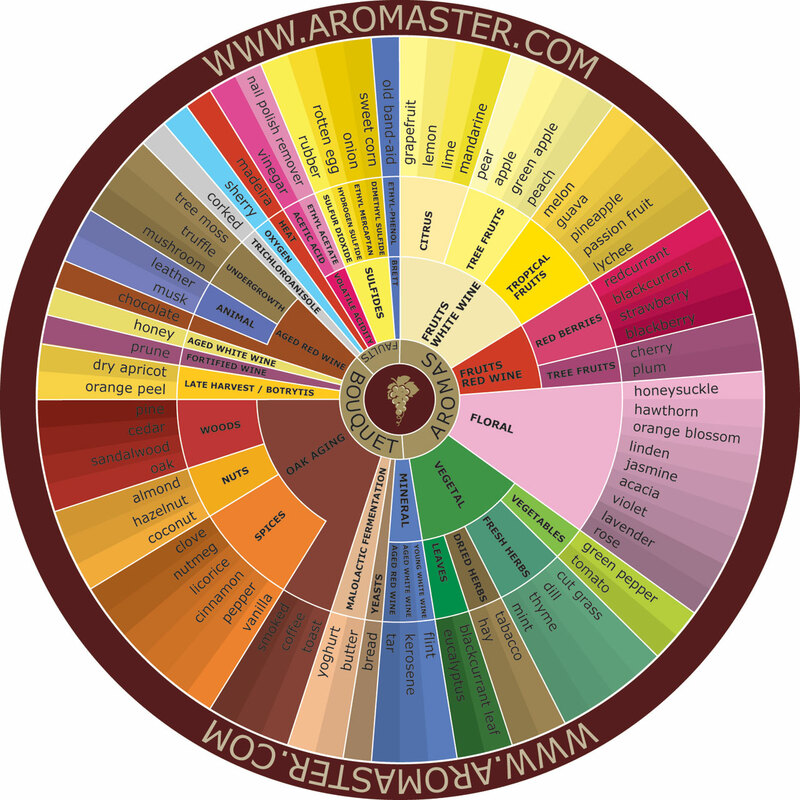 Typical secondary aromas are pine, mint, lemon, orange, diesel fuel (! ), earth, chocolate, coffee, bubblegum, berry, mango, or pineapple. You won’t find these smells to be overwhelming, and most certainly not stronger than the classic cannabis smell, but they are there. Useful for Cannabis Connoisseurs as well. As with wine, learning to appreciate the subtleties of taste and aroma is one part having the right wine (or marijuana), one part training the senses, and one part active imagination. You’re never going to taste real lemon in a “Lemon Haze” strain, and (luckily) no real skunk in a “Skunk #1” strain. In the best examples of these strains, however, you may be surprised at how intense the aromas can be. For those in search of stronger aromas, I’d advise against using any artificial scents and (especially) oils to supplement the aroma of your marijuana. Many of these artificial aromas can be hazardous to your health, and burning or vaporizing them is especially bad. Beyond that, even natural aromas – like the old advice about putting orange peel in your stash – could be a bad idea. You could ruin your supply of marijuana by introducing mold spores carried on the fruit. Naturally, you can cook with cannabis; chocolate brownies all but completely disguise the taste of marijuana. Unfortunately, you’ll also lose the best part of all that hard work you put in to grow that “Blue Mystic” strain – that subtle, yet completely natural hint of wild berries that lingers on the palette as you exhale and the relaxation sets in.